Animation deformity after subpectoral breast implant placement has been documented; however, the actual prevalence and effect on patient quality of life has not been studied much. 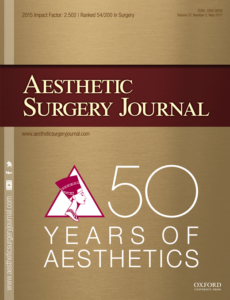 The purpose of this study was to show that all patients with subpectoral implants experience some degree of animation deformity and that it can affect their quality of life, including causing embarrassment and discomfort in reconstructed patients. Patients who underwent breast implant surgery were contacted for inclusion in the study. Patients were obtained from a single surgeon’s practice but included patients operated on outside the practice, and those seen in the practice for a consultation. A six-item questionnaire was developed by the senior author (H.B.) and the medical student (N.F.) involved in the study, to assess quality of life related to animation deformity. Patients had their degree of animation deformity assessed by the senior author and a medical student. Of 25 patients who agreed to the questionnaire and assessment, 20% had grade I distortion, 44% grade II, 24% grade III, and 12% grade IV. Of the patients questioned, 80% were bothered by an animation deformity and 45% of those patients were bothered to a significant degree (≥6 out of 10). In addition, 48% of patients felt that the animation deformity interfered with their daily life, and 28% (7/25) of patients underwent, or were scheduled to undergo, revision of their reconstruction at the time of interview. The degree of the clinically observed animation deformity was correlated with patient dissatisfaction, with an R value of 0.47 (P value = 0.0145). All patients with subpectoral implant positioning will experience some degree of animation deformity. Especially in the reconstructed breast population, animation deformity, and its severity, affects patients’ quality of life. Other approaches to reconstruction should be considered to prevent animation deformity in this population.